Israel was to be a light to the world. This idea was symbolized in the Tabernacle through the light of the Menorah. It’s instructive to think about how this lamp was to stay perpetually lit. It starts with the crushing of the olives. 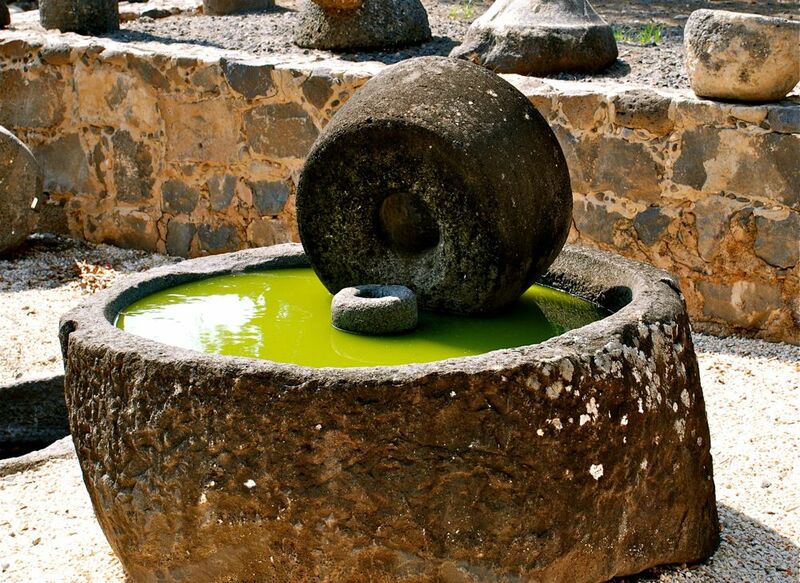 Olive oil is found in the seed of the fruit, not the flesh. To get the oil, the entire thing had to be ground and crushed. Next came the pressing and the straining. The ground paste was stacked on mats and then large stones were used to squeeze the oil out of the mess. The liquid was strained to remove the chunks and make it “pure”. Lastly, the oil needed to be brought to the Tabernacle. It needed to be offered to the Lord for His lamp to be lit. Continual light required participation of the whole nation, not just a few. Is any of that a picture of your life, beloved? Are you going through a period of crushing? Are you being hard pressed? Is there a sifting and straining going on in your life as God is trying to remove impurities? Take the pure oil of a refined life and offer it to the Lord. Let Him use your life to light up the darkness around you.